This is another offering from Leisure Arts and has 16 outfits for your puppy. I like this book because it provided not only inspiration but also multiple sizes on the printed pattern. I used some Swedish tracing paper to trace out the size pattern I needed without cutting up the hard paper stock pattern so I would always have all the sizes for future use. The patterns are clearly marked and it is easy to calculate the size you need as well as see how the pieces fit together. I chose to make my terrier “backpakin'” t shirt pattern out of sweatshirt fleece. Just received this loom From Leisure Arts. I remember when I was a child using a loom, and not very well so I have not tried loom knitting for a very long time. This is a nice kit that involves two sizes of Looms a 54 peg and larger 70 pegs. The 54 peg loom will make a child’s hat with worsted weight yarn. The hat pattern in the book provided is in Lion Brand-Vanna’s Choice. I chose to try a nylon/acrylic yarn pictured made by Berroco. Leisure Arts Oval looms Comes with two different sizes 54 peg and 70 peg. Close up of yarn path E-wrap cast on of yarn. There are two looms and the knitting tool in the package. The looms are made of rigid plastic but are very sturdy. some of the pegs had some small flanges of plastic but those where easily removed with a fingernail. I didn’t want anything snagging the yarn. The rest of the looms are smooth and the tool to lift the yarn and make the stitches is sharp or pointy enough to do the job (more about this later). The oval shape of the looms takes up a lot less space than the round looms. I have looked at other looms in the store but they seem huge and it was obvious the other looms would not fit in a knitting bag easier. Leisure Arts has engineered their Knitting Loom to be oval, it is more compact and easy to handle. I chose Berroco yarn because it was worsted and is almost a heavy worsted but I also wanted a yarn that had many small strands so I could see how the Knitting tool included in the kit worked with a yarn that splits. I have to say the tool works very well in spite of the fine strands that make up this yarn and the yarns tendency to spit. I have knitted with this yarn before and found that on knitting needles one needs a very fine point. The tool included in the loom kit does very well in lifting the yarn over the pegs. Bravo for Leisure Arts for not designing a knitting tool that is sharp and performs the job. I remember as a child knitting on a loom and the tool was fat at the tip and the worsted weight fluffy yarn that came with the kit split and split and was just a nightmare to use! Leisure Arts have eliminated that problem by providing a tool that is slightly bent smooth metal for picking up the stitches and a soft padded handle. It is not flimsy and works very well! Close up of the e-wrap cast on. It is easy to do a e-knit hat and it is quite addictive to sit and add the yarn and then knit the fabric. As with all knitting machines or looms the fabric relaxes after being off of the loom so if you are doing a project make a swatch and wash it to make sure you are getting the right gauge for your pattern. I would recommend Leisure Arts looms to the beginner or even advanced knitter that would like to try loom knitting. The looms are compact, easy to handle and very sturdy. The yarn pick does not split the yarn and is easy to handle, soft to the touch. The two sizes in the package offer a lot of possible project types making this kit versatile. So over all I would recommend this product to anyone who would like to try knitting without knitting needles on a versatile loom, Leisure Arts Oval Loom Knitting Kit is the perfect kit. Enjoy the knitting experience! I know this is not directly fiber related but “adult coloring books” are a great way to do color study that you can use for fiber dying, designing a garment, or just for stress relief when you don’t feel like knitting but want to make something pretty. 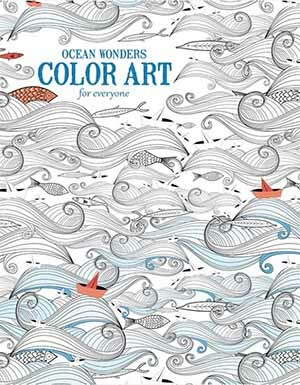 I got a chance to receive and review several different Leisure Art coloring books. Adult Coloring Books have become popular for not just crafty people of all ages but also for helping with motor skills and stimulation of the creative side of the brain in the elderly. All of the Leisure Art Books have themed designs. If the book is about flowers there are multiple illustration of flowers. If animals are the theme then animals. If the Ocean is the them then all creatures and settings under the sea. Some coloring books by other publishers like “Magic Garden, Fantastic Flowers to Color” have designs back to back on the pages, which may pack more designs into the book but then you have to choose which design you like better when you want to remove the page from the book. This book also does not have the perforated pages that the books pictured to the right have. Additionally the binding does not allow the book to lay flat. The Leisure Art’s “Color Art For Every One Series” on the other hand has a much better bindings that lays flat and each page is perforated along the left hand side. The book will stay open on your lap or work surface and not curl around or be a constant fight with you will you are coloring. I think the perforations are perfect. These pages can be used all sorts of ways once removed from the books. How about a themed scrap book page, color the page that has fall leaves and then remove it and use it as part of your design with pictures of the family cleaning up the leaves in the yard in fall. Since each of the pages in the Leisure Arts “Color Art” Series only have one design on the page, it makes it easier to incorporate the page in another craft or art project. I like this because then it does not have to be hidden away in a book, the pages can be used for making or decorating other things. For example, I just saw a craft show on the local PBS station that used paper glued on the back of a clear glass plate to make a serving plate. Inexpensive clear plates could be obtained from a dollar store and instead of an old dictionary and a printed flower they used for the plate one could use ones own colored page of the Leisure Art Color Art book instead. Since the books are themed one could make several plates with several pages. Each of the “Color Art” Books also has a color wheel and color theory on the inside front cover. This is a quick reminder without having to pull out your dyers color wheel. Speaking of color what can you use in your books to color? Well I would suggest starting with colored markers or with colored pencils. I particularly like colored pencils because the colors are so easy to blend and make your own very special color. You can also use multiple colors in one section and “cover up” an area that you don’t quite like the color in which can be difficult sometimes with the markers. So I hope you will consider giving Leisure Arts “Color Art For Everyone” series of books a try. They make inexpensive gifts with a set of color pencils for yourself, your friends or other crafty family members. Check them out by clicking on the pictures, you will have lots of fun! Linda retired in 2002, but her knitting legacy goes on. Over time, her little leaflets have evolved into a beautiful full-color catalog with everything a knitter could possibly wish for, a shop in a picturesque lake-side town in New Hampshire attracting knitting enthusiasts from across the country, and a Web site that is a favorite browsing place of knitters everywhere. And in 2006, Patternworks proudly introduced a brand-new line of yarns created exclusively by Patternworks for its valued customers. Crafting is a great way to enhance your life any time of the year. Check out our front page for sales and also check out Interweave Press in Colorado. 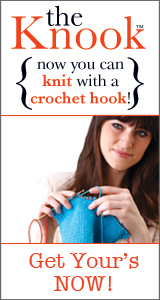 Interweave Press has many great titles of books to help you learn a new skill. Check them out. Leisure Art Books-Learn something New. Available a multiple resources or by clicking the link below. I have this book and use these borders all the time. They are great for knitted afghans and even baby sweaters or dog sweaters. No one can have too many stitch dictionaries. Check out Craftsy it is great you can take on-line classes in spinning fiber, knitting, quilting, and cake decorating. I have signed up for several of these classes and they are great. They show you step by step and are really a lot of fun and easy to re-watch the parts you might have missed or want to review. These classes are always available in your account. This is a great way to learn new skills remotely or get a group of knitters together and have a knit along with your projects! These really are a lot of fun! KnitsMenWant is a book that offers multiple options. Each of the patterns is written in several gauges of yarn so you are not tied to the yarn that the designer used. The structure of each pattern takes a little getting use to because they are laid out in chart manner rather than sizes written within the pattern. Once you copy and circle the yarn gauge you are working with it makes reading the patterns a whole lot easier. The advice in this book is very good about choosing yarns for garments you guy will enjoy wearing. KnitsMenWant also has a variety o patterns for the beginner to advanced knitter. The book is well written and the patterns are easy to follow, and the guys like the finished product! 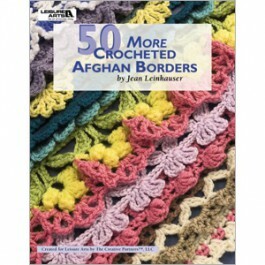 I would recommends this for the knitter who wants to knit something for their favorite guy. Remember your mother saying, “if you can’t say something nice don’t say anything at all”? Well sometimes it seems that something is just so blatantly in need of upgrading or fixing it is hard not to say something. I really thought that when Cubics circular needles came out I would love them. I like my straight cube needles. They have not had any issues but there are some things like hats and other things I like to knit on circular needles. I also thought great short cables between the needles will make some circular knitting that much more enjoyable. After reading the following description I had to have a set ranging in size from US #6 (4mm) to US #10 (6mm). I have used many types of needles, wood, bamboo, metal, and plastic. The only needles I have ever broken were some small #00 needles that were holding tiny stitches for a repair on a sleeve. I have never had problems with Clovers(tm), Addi Turbo(tm) and others. But unfortunately the laminated wood is not stronger. Think about building materials. If you have a laminated piece of wood it has weak spots every were the wood pieces are glued together. The stud or in this case the needles break at their weakest points the glue joints between the pieces of wood. Cubics Knitting Needles are no different they break along the laminate lines and mostly at the joint between the metal cuff to make them interchangeable and the wood. I have now broken two US #6 needles and one #7 needle. On split with just the simple act of tightening the joint with the small tightening tool. They are more fragile than toothpicks (some toothpicks are made from a solid piece of wood). The other two broke in my knitting bag, which has more than one small project in it. I have to say I am very disappointed. I told the company about the problems I was having they replaced two of the needles. But I still have to disagree with their conjecture that their Symfonie is stronger than a solid piece of wood. It is not. If you look up Symfonie you will find it is the Dutch word for Symphony. I think the manufactures of these needles were hoping that knitters everywhere would be singing their praises. Unfortunately they are more like a cheap instrument there is a lot of noise for a product that is not that great at all.